Premier Doug Ford and his PC government delivered a record-setting budget on April 11, $163.4 billion, $4.9 billion larger than the final Liberal fiscal plan, which includes a new child-care tax credit, revised auto insurance regulations, and a plan to eliminate Ontario’s ballooning deficit over the next five years. One thing they forgot to include, though: Brampton. While Sarkaria gave The Pointer general numbers in the budget, such as $384 million to be devoted to hospital expansion, he failed to mention that none of that will go to Brampton. In fact, there is not one specific item in the budget for the province’s fourth-largest city. Regarding transit expansion for Brampton, Sarkaria said in his response to The Pointer that, “The Hurontario LRT is on schedule and part of the (transit) plan.” He referred to a map of transit projects attached in his email, but the map shows only the previously-funded LRT line that ends just north of Mississauga, not the full Hurontario-Main Line that would run right into downtown Brampton. The Brampton Main Street portion of the LRT received no funding in the budget, although other major transit projects, such as the $5.6 billion Yonge subway extension to Richmond Hill, will be fully funded. 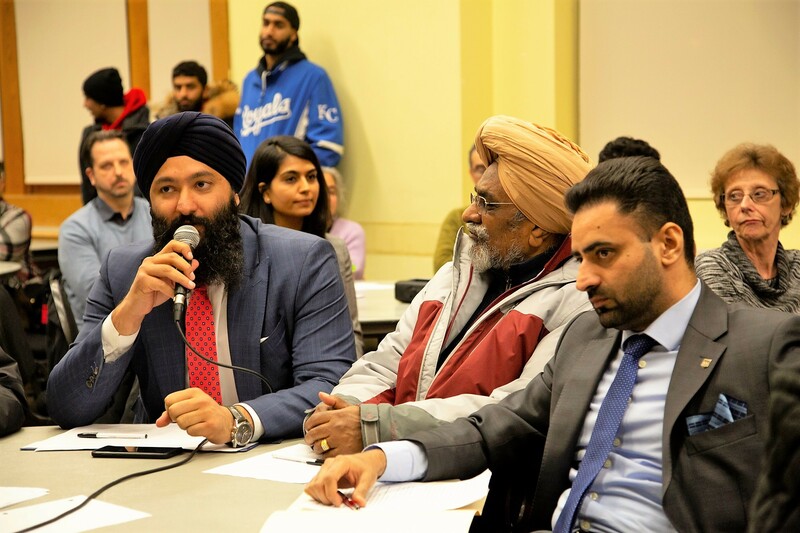 Sarkaria offered no response to questions about why there is no investment in Brampton related to projects such as the long-desired redevelopment of the old Peel Memorial site into a full-fledged hospital. He did not address why phase two of the new Peel Memorial Centre for Integrated Health and Wellness is not getting funded, despite promises by the previous government. His Brampton colleague in the PC caucus, Amarjot Sandhu (Brampton West), did not respond to The Pointer’s request for comment at all. Despite the presence of these two Brampton MPPs in the governing party, the city is never even mentioned in the text of the 300-page-plus document, which lays out investments that include Ford’s $28.5-billion transit plan for the GTA and $384 million to hospitals to battle hallway healthcare. In education, the budget mentions increases to class sizes and a rework of the entire Grade 1–12 math curriculum over the next four years. Also included are the PC plan to revamp the Ontario trillium logo; rebranded licence plates, which will now be Tory blue; and plans to loosen alcohol regulations, including allowing municipalities to permit drinking in public parks. Sarkaria’s release, ignoring Brampton-specific issues, points instead to the budget’s “signature initiative” of a child-care tax credit aimed at low- and middle-income families, which the government says will allow parents with children under 16 to claim 75 percent of child-care costs, up to $6,000 a year. (The cost of childcare in Brampton, according to a Canadian Centre for Policy Alternatives study, is among the highest in Canada, averaging about $1,300 a month in 2014.) The tax credit is available only to families earning less than $150,000 annually. Sarkaria also mentions a plan to provide dental care to low-income seniors and a job creation incentive program. That’s not how Singh sees it, as critical investments for Brampton in transit and healthcare and were left out of the budget, as was any new money for affordable housing, an increasingly pressing issue in the city. Opposition Leader Andrea Horwath has also slammed the budget for cuts in important areas, including a $1-billion cut to funding for the Ministry of Children, Community and Social Services, and millions of dollars from post-secondary education. “Instead of investing in the services people count on — like healthcare and education — Doug Ford is starving them of desperately needed funding. Instead of giving children better schools, Ford is taking their teachers away. And instead of giving students more opportunities, they’re attacking colleges and universities,” Horwath said in a press release. Particularly perplexing is why Brampton has been left out on the healthcare file. With Ford’s touted commitment to ending hallway healthcare, it’s odd that the city where the term was popularized in Ontario would continue to be ignored. The previous Liberal government had committed to funding the $420-million redevelopment of Peel Memorial into a full-service hospital — and the city has set aside its $60-million share since 2010 — but the provincial dollars have yet to materialize. Many residents and councillors have been anxious to see that money finally make its way to the city. That hope was in vain. 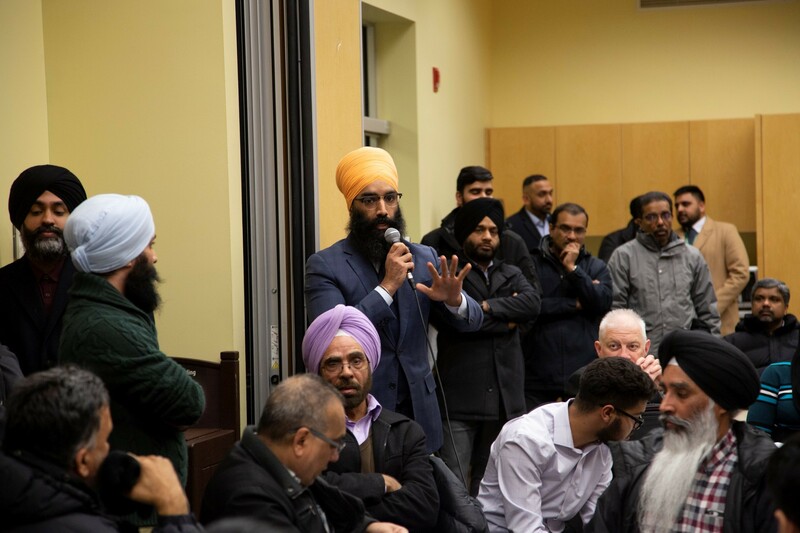 At a healthcare town hall last month, Sarkaria and Sandhu walked in 45 minutes late, then faced a grilling from furious Brampton residents who made it clear that lives are being put at risk because of the inaction by the PC government. They pointed out a number of near-death incidents at the city’s only full-service hospital, Brampton Civic, such as the ordeal Jamie-Lee Ball endured in 2017 when she almost died of internal bleeding after waiting in a hallway on a stretcher for five days. 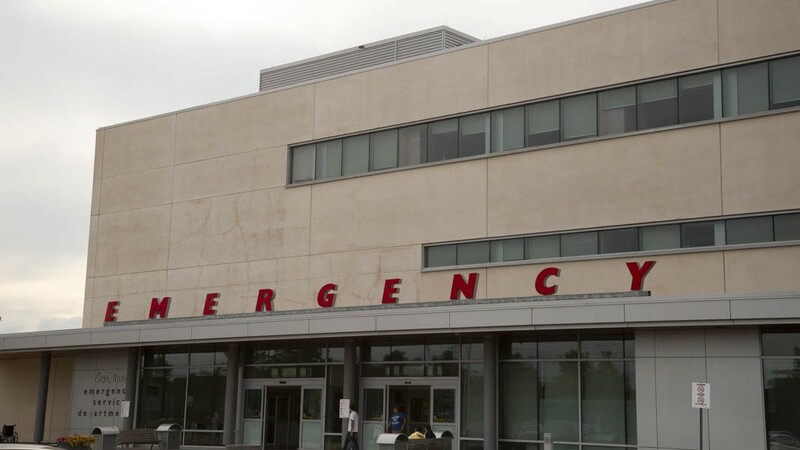 In a 12-month period from mid-2016 to 2017, 4,352 patients at Brampton Civic, which has the province’s busiest emergency care ward, had to be treated in hallways and other makeshift spaces. Brampton has fewer than half the hospital beds per capita than the Ontario average. Yet the life-threatening crisis continues to be ignored by Sarkaria, Sandhu and their PC government, after years of neglect by the previous Liberal governments. 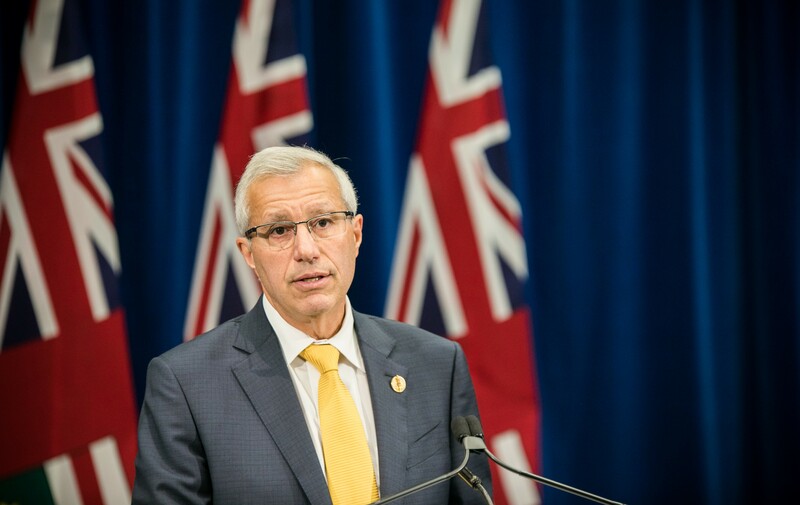 The latest provincial budget does include details on how the PCs plan to make auto insurance more affordable for Ontarians, mainly by allowing more options in coverage. However, in Brampton, where residents pay the highest insurance rates in the province, people have been calling for an end to postal-code discrimination. The budget mentions a PC bill active in the legislature to do so, but there’s no indication of how that will be implemented, or why the government hasn’t moved forward with the file. Singh, whose own bill to end postal code discrimination targeting Brampton drivers was killed by the ruling PCs last year, has said their bill is a watered-down version and does not address the specific insurance industry discrimination faced by local car owners. Since the PCs took over Queen’s Park last June, Bramptonians have benefited from small enhancements to the Kitchener GO line, with additional trips to and from Toronto during peak periods. And while the roll-out earlier this year was a fiasco, with schedule changes that led to dangerously overcrowded trains and platforms, the situation has mostly been ironed out. However, Brampton is no closer to the promised delivery of all-day, two-way GO service, which is desperately needed to solve growing transportation gridlock. Ford’s $28.5-billion transit plan, billed as a transit plan for the 21st century, is mostly focused on expanding Toronto’s subways and the construction of the “Ontario Line,” a somewhat rerouted version of what was previously dubbed the Downtown Relief Line. The multibillion-dollar plan also pushes the Bloor subway line further west to Pearson Airport, and Yonge University line north into Richmond Hill. The Hurontario-Main LRT was something that was on many Bramptonians’ wish list, especially after a Metrolinx document announcing changes to the Hurontario line earlier this year appeared to leave the door open for Brampton expansion. The government’s map of proposed subway and LRT lines in the GTA shows only the Port Credit–Steeles Avenue route along Hurontario Street that is already funded and underway. “There are provisions in the contract language to adapt to future changes or additions to the LRT, including the completion of Mississauga’s City Centre loop and/or a potential extension into Brampton,” said the March Metrolinx release. But as for the budget? Nothing. Finally, as Brampton pushes its way into the innovation sector — its own budget includes millions of dollars for a Centre for Innovation in the downtown core — many were hoping for a potential change of heart by the PCs to restore funding for the cancelled Ryerson University satellite campus in downtown Brampton. It didn’t happen. The day after the October municipal election that installed Patrick Brown as Brampton’s mayor, Ford cancelled the $90 million in funding for the Ryerson project along with two other university expansions in the GTA. The news completely derailed the project, and Brampton and Ryerson have been working to sort out an alternative ever since.